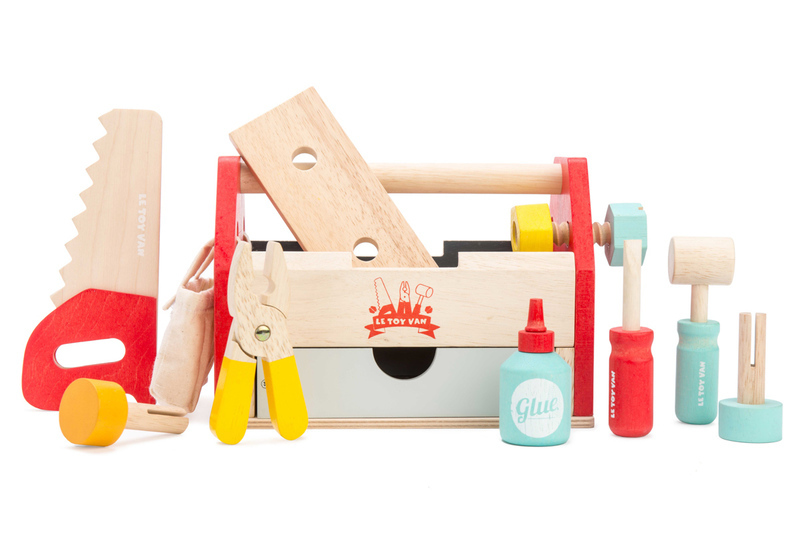 Knock on wood with this comprehensive tool kit, perfect for the budding carpenter or tradie. 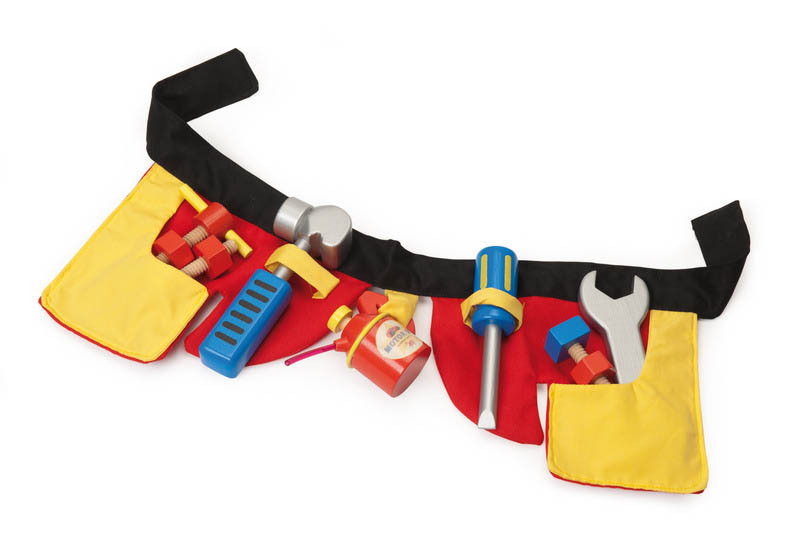 With 11 accessories for role play and skill development, this carry around tool box is ideal for all those pretend DIY jobs around the home! 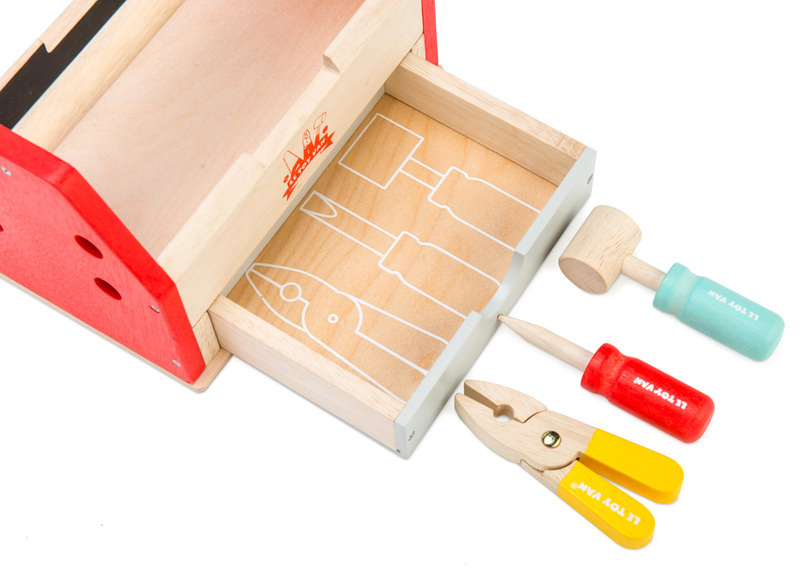 The tool box features a chalkboard side to jot down all those important things to remember, a detachable fabric bag and outlines of where the tools fit in the drawer, making it fun even when it's time to pack away. 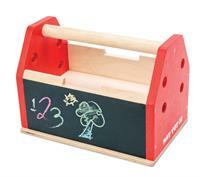 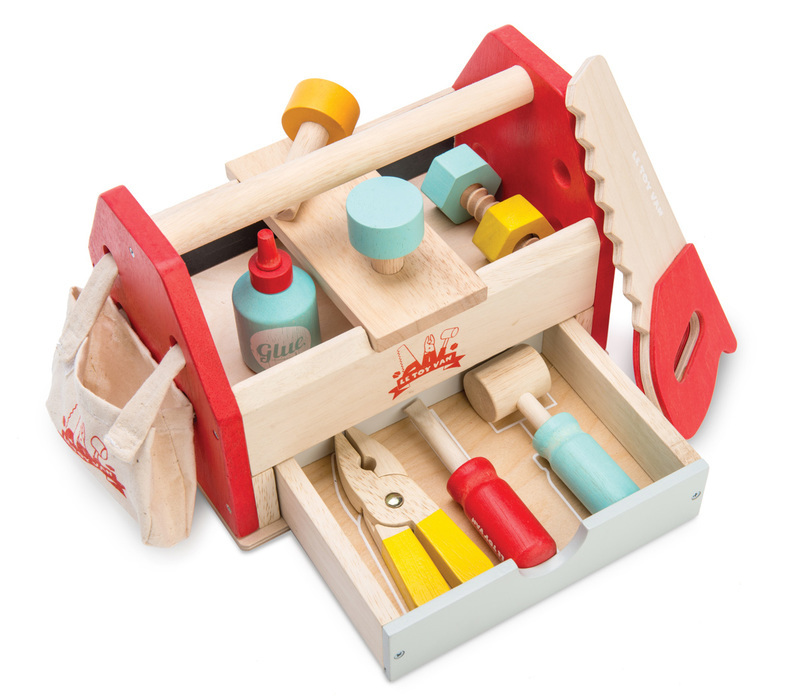 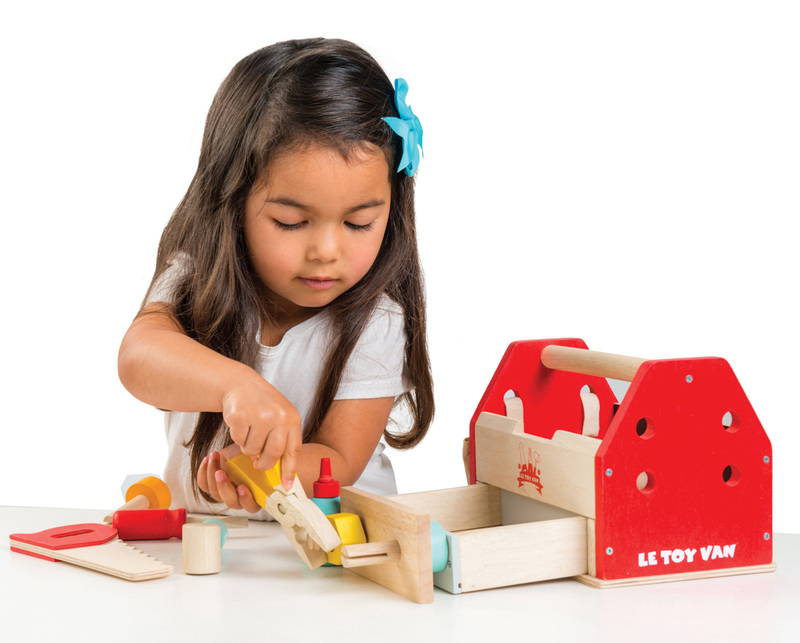 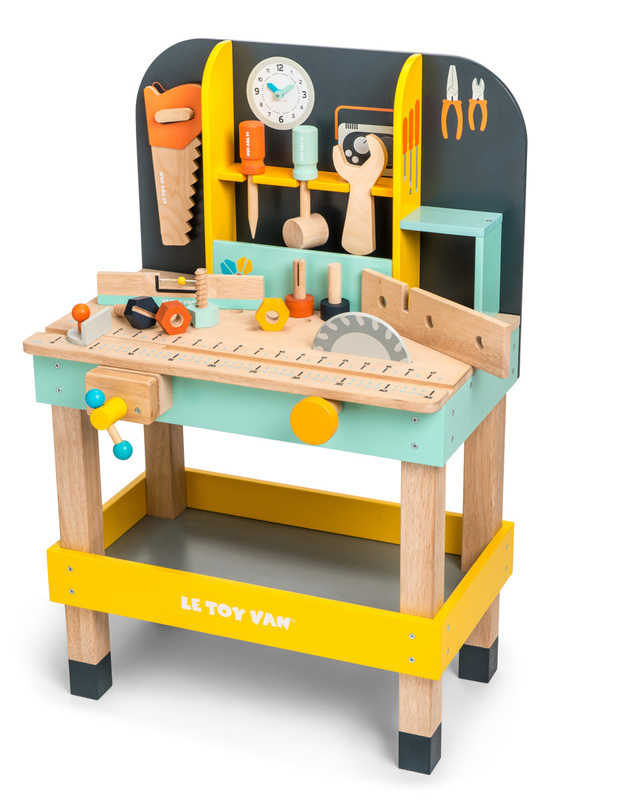 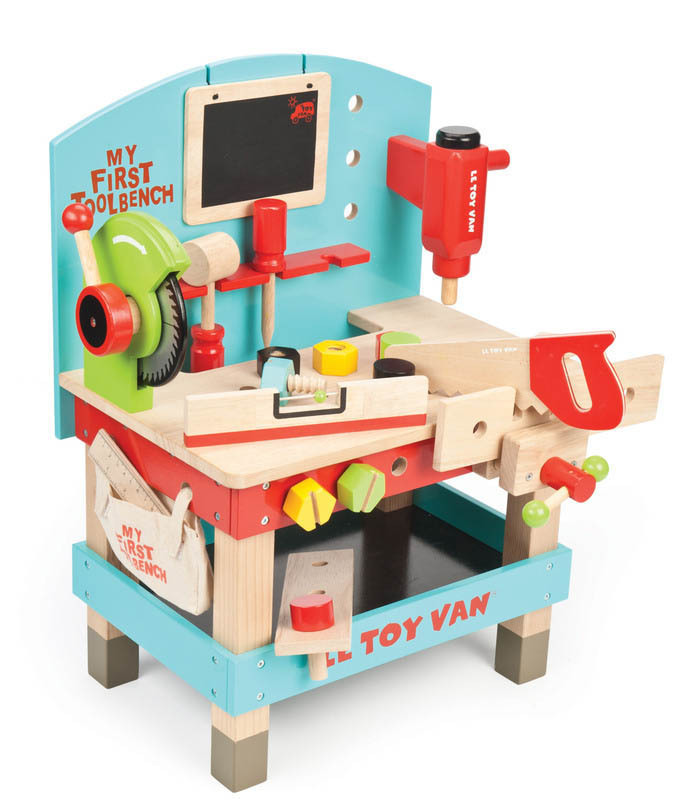 A lovely standalone toy and a great accessory to Le Toy Van Tool and Work Benches. 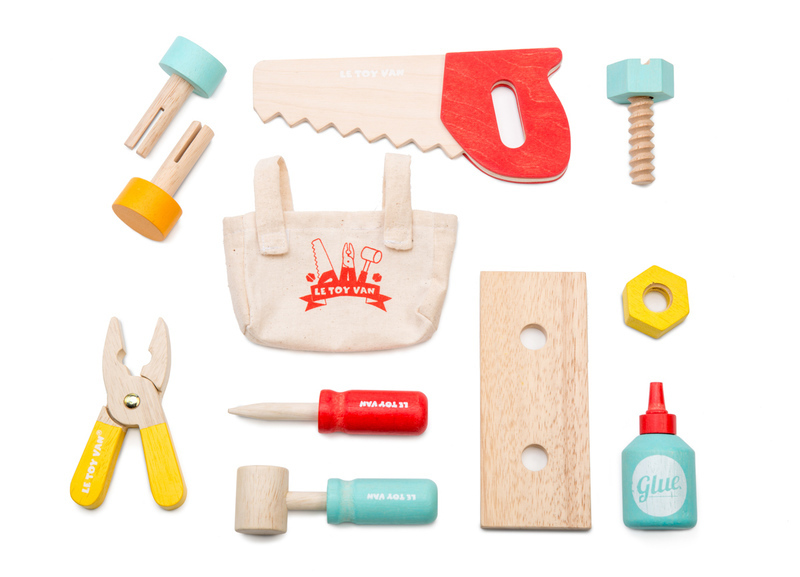 Asaw, pliers, screw driver, plank of wood, two nails, bolt, screw,glue pot, fabric bag and a hammer.